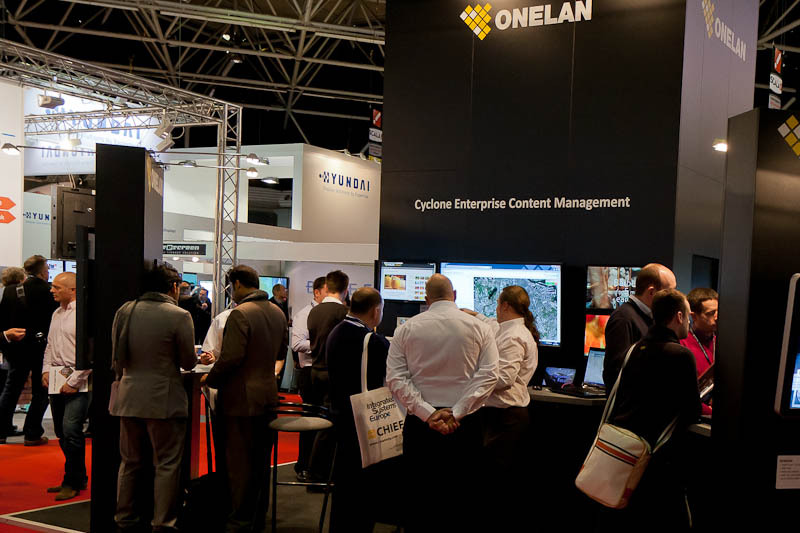 It was another fantastic year for ONELAN at ISE 2012, with a bigger stand and more visitors than ever. The hottest area on the stand was without doubt the Cyclone Android player and Enterprise Content Management System. Cyclone was demonstrated driving content not only to traditional digital signage players, but also to websites and shelf edge screens. Another area that also sparked a lot of interest was the QR code generator, which makes it easy for anyone to use QR codes in their digital signage application. This combined with ONELAN’s Ad Hoc content management interface allows a user to select content relevant to them or even add messages. The videowall dominated one side of the stand with Samsung 46” displays in a unique configuration driven by a ONELAN NTB 6000 and a Datapath X4 controller. Finally a lot of you could see many opportunities for the new HDCP compliant HD Capture Solution; from bars, cafés, gyms and hotels to live events - basically wherever customers want to combine full HD TV/video with multizone layout designs. The potential applications are numerous. Watch out for announcements in the coming months as we bring our many new products to market.